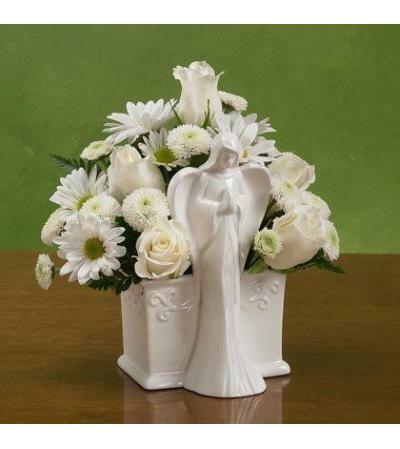 Convey your deepest sympathies and healing thoughts during their time of loss with this peaceful Angel planter filled with lovely white flowers. 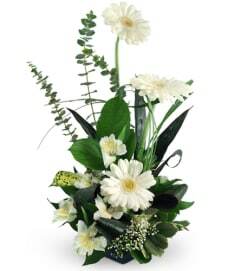 Flowers will vary depending on availability. If you would like a specific color combination please note this in special instructions when ordering. 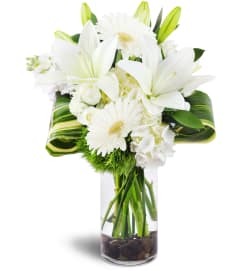 Great service, great flowers - sent me a text with a picture of my order. Would definitely use again! 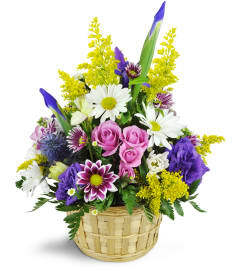 The experience of ordering was very easy and the recipient loved the beautiful arrangement. Would order from you again.